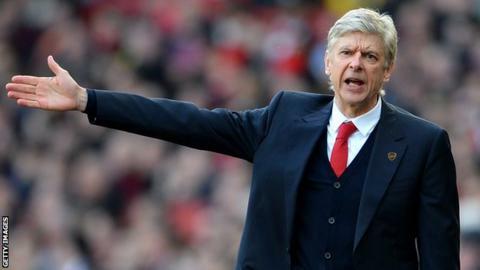 Arsene Wenger has given the clearest indication yet that he will remain at Arsenal beyond this summer. The 64-year-old has delayed signing a new contract, with his current deal expiring at the end of this season. However the Frenchman has insisted he intends to stay at the Emirates. He told the Be In Sports network: "Look, I have said that many times already, I have given my word to this club and that I want to continue where I am. That means to stay." Wenger arrived at Arsenal in 1996 and will attempt to win the club's first trophy since 2005 when his side face Hull in May's FA Cup final. That match could prove to be Bacary Sagna's final game for the club, with Wenger conceding that Arsenal are no closer to agreeing a contract extension with the French defender, who joined from Auxerre in July 2007. The 31-year-old's deal expires in the summer and he has been linked with Inter Milan, Paris St-Germain, Galatasaray and Manchester City. "At the moment [talks] are not progressing," confirmed Wenger, in an interview broadcast on Talksport. "We know what we want from him, he knows what is on the table and that is where we are. "The ball is not in our camp anymore; it is in his camp, and he needs to come back to us."